The Government and Gold Coast City Council have expressed their plans for introducing and supporting the expansion of solar power, which is good news for homeowners! Solar power is the transformation of energy from sunlight into electrical power. This conversion is executed directly through photovoltaics (PV) which we call Solar Panels. 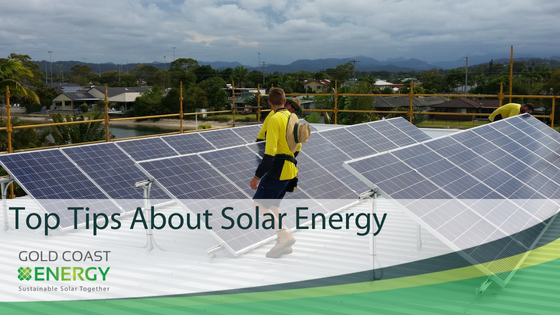 The most important thing that all Gold Coast residents must be sure of is that their homes have roofs that are solar panel compatible. Roofs that remain covered or shaded through most of the day throughout the year have up to an 80% less electricity generation to roofs that have full sunlight. 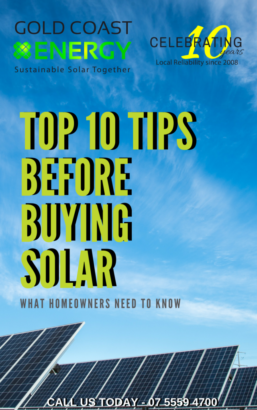 Even if homeowners don’t already have the appropriate roofs, they can get the solar panels installed into the community or make solar arrangements in their areas. The approach will enable many Gold Coast residents to benefit from the solar installation program and also to receive a reduction to their energy bills. There are a few options right now to achieve this. Gold Coast Energy have a direct portal into Energex who approve the solar power systems on each home. There can be extra costs to modify older switch boards to bring them up to the latest standards, to ensure that the new Smart meters can be installed after the solar power system is connected. We will advise if this is a requirement for your switchboard after we carry out a site inspection. Net metering refers to the process of reimbursing customers with solar power for the excess electricity that their solar system produces, there are many retailers who offer between 6–14 cents for the excess solar power. We would be happy to discuss our findings with you, on the current electricity retailers and their rates. The solar panels we recommend and supply are specifically for our region. They are produced from tempered glass and are able to withstand almost every sort of climatic change. Seasonal conditions like extreme heat, large hail, heavy rain, and high winds will not affect the solar panels. The Inverters we supply and recommend are designed to last the life time of your system, giving you peace of mind. The solar panels Gold Coast Energy supply and install will generate electricity for more than 25 years without any disruptions. Our maintenance program and system design will optimize your electricity generation, giving you peace of mind with our 7 year installation warranty. 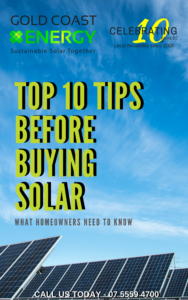 Solar powering your home has many advantages, from reducing your energy bills, to increasing the value of your home, whilst reducing our reliance on non-renewable energy like coal. Our team of solar specialists can be contacted on 07 5559 4700 or info@goldcoastenergy.com.au and would be happy to provide you with more information.